A recent paper on the complexity of the n-Queens Completion Problem by researchers at the University of St Andrews may point the way to a new attack on one of the Millennium Prize Problems, the P vs NP problem. The paper is an exciting contribution to complexity theory, but it does not say that finding a correct solution to the 8-Queens puzzle or even to the n-Queens puzzle for all n would justify the award of the Millennium Prize. As Ian Gent, one of the authors, comments: “The 8-Queens puzzle on the chessboard is a classic puzzle, and all solutions to it have long been known. It is also known that the more general n-Queens puzzle can be solved on all larger size chessboards: that is the puzzle of placing n queens on an n-by-n chessboard so that no queen is attacking another. 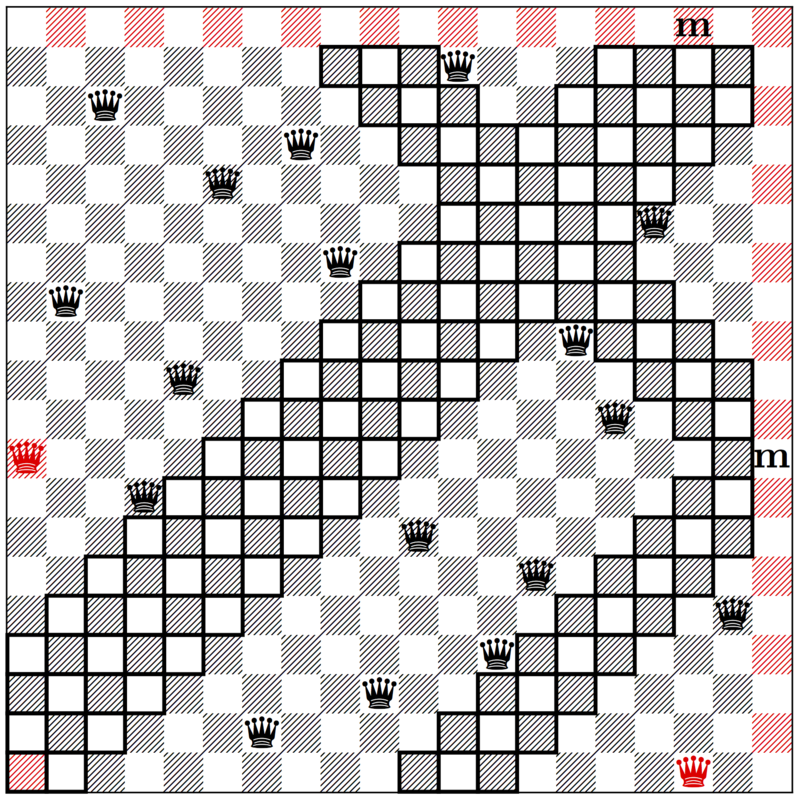 The new research concerns the n-Queens Completion Problem, where not only is the board larger, but also some queens have already been placed. That is, if some queens have already been placed on the n-by-n board, can you find a solution to the n-Queens puzzle without moving any of those queens? The technical contribution claimed in this paper is that the n-Queens Completion Problem falls into the class known as NP-Complete. If correct, this means that any algorithm that can solve the n-Queens Completion Problem can be used indirectly to solve any other problem in the NP class. This does not apply to the original n-Queens puzzle, because the addition of pre-placed queens is critical.